It's well worth this price. Loads of content. Looks stunning. And still easy to find a game. I powered through the DLC with little effort, it should have really been included in the main game. That said it does add to the experience a bit more story and some harder fights. Really depends on how much you love the main game and want a bit more. Yeah I’d like know to this too, actually looking at picking these up on the Xbox as oppose to PS4 but these are pretty much the only two spring sale items I have in mind. A very fun game, especially multiplayer. I missed this when it came out. Recently picked it up on PC for over £10. One of the best single player games I have played in a long while. It isnt a huge amount of hours but I came away feeling really happy to have played such a fun, polished and beautifully crafted single player campaign. So for this much? Get it. Is it worth it if I already have the base game (unopened)? Does the season pass normally get discounted (on Xbox)? finally ordered AC Odyssey Gold thanks!!! Battlefield 1 is awful in multiplayer. Titanfall 2 is a lot better. I don't understand why this game is always on offer at such low prices. It's a REALLY decent title. Worth £4 for the campaign, which is superb even if a little short. Online play was good the last time I played it, but sadly it released up against Battlefield 1 and was overlooked by many. Still a bargain. For £4.99 you can get the deluxe edition off the PS Store right now so might be better! Got from Asda Fosse Park Leicester they left it out on shelf then they were panicking why a game was left out on shelf rather then a dummy box. The guy thought was a price glitch. 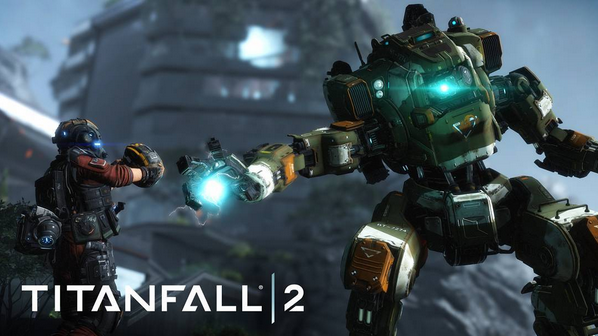 Never miss a 'Titanfall 2' deal again! Cheers, no idea why it didn't turn up in the search. Already got the game but considering buying this just for the cosmetics. Did think it came with all the prime titans rather than just two... still must be a saving though. Find this a strange comment as I have been playing Titanfall 2 every week since release and never had any problems finding an online game (skeptical) Even the first Titanfall game still has plenty of people playing and a strong community. Wasn’t the Witcher recently on sale? Was that the GOTY? Titanfall 2 is good game , but the multiplayer is just like dead no one plays . Great game. You have a giant robot suit like in the Matrix :Revolutions, it's epic. Buy it. Absolute bargain, just ordered, I still enjoy the first one! Thanks, I collect games so this will be new and sealed! great price for a great game, suspect many APEX players have remembered how good Titanfall is. I don't even have an xbox one yet, and I've just bought it &#x1F604;. Bargain! It finally came today, yay? How ya liking it so far? Picked this up on PSN sale and have loved it. I really hope it gets some love at this cheaper price. Worth it for Frontier Defence with 3 friends alone. Thats a stonking deal. Bought the same bundle about a year ago. Both fantastic games. Titanfall 2 has that very rare thing on an online FPS - a decent campaign - I've played it through twice! BF1 War Stories are pretty good too and with the lackluster response to BFV, it's still fairly lively online (y) Silly price for both - heat! Will I buy it? yes, will I ever find the time to play it? No! Worth this easily. Great price. Had mine delivered today and they sent Titanfall 2. Now this is what me and my friends in the gaming industry call, a fantasy deal Heat fam! Sadly the servers for this are dead on the Xbox. I enjoyed the MP moreso with this than in Titanfall 2. This is multiplayer only... I think you’re confusing it with Titanfall 2. Free with EA access in case anyone is subscribing to this service for £18—£20 for a year. Great game. Takes the first game to a new level. Titanfall 2 is an exhilarating game with a complex plot that centres on a rifleman in the Militia, known as Jack Cooper. You play some sections of the game as Jack and some as a robotic Titan, when the character climbs into a huge battle suit. There are plenty of high-tech sci-fi style gadgets to play with, interesting new in-game abilities, like parkour, and an impressive arsenal of weapons. The single player campaign is engrossing, but there’s also a fast-paced multiplayer option where you can improve on your piloting and combat skills. 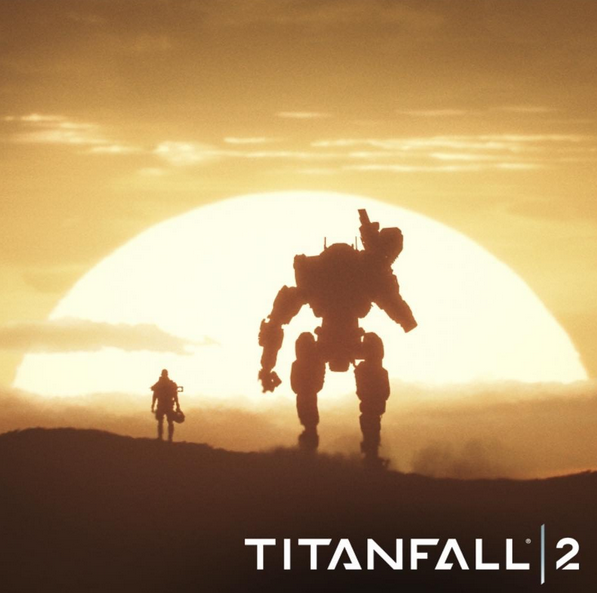 Rumours about a sequel to Titanfall were in the air almost as soon as the first game was released in 2014, and there was also mention of a science fiction TV series which would act as a companion piece. 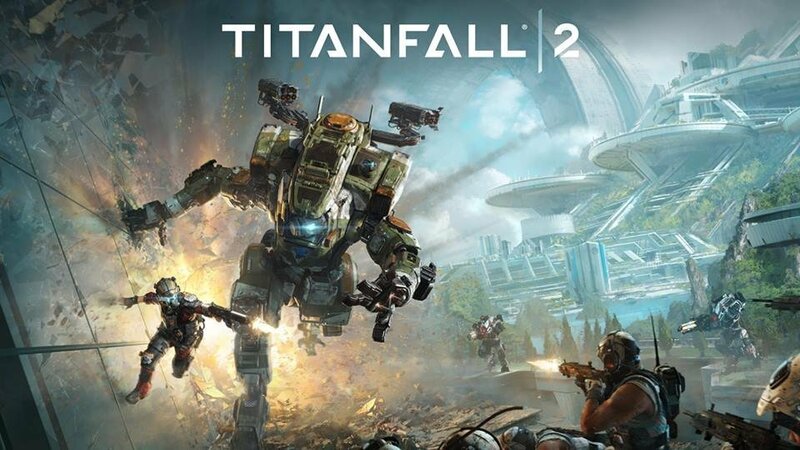 Development actually began in March 2015, according to the CEO of Respawn Entertainment, with beta versions containing two maps and two modes, going out in August of 2016. The finished product was launched by publisher Electronic Arts on October 28th 2016. Titanfall 2: The basic game disc offers access to the single player game and the multiplayer experience. There is also free downloadable content available for anyone who buys the title; this currently features a game called Angel City’s Most Wanted, but more DLC is planned along with an in-game store for skins, camouflage and extra Prime Titans. 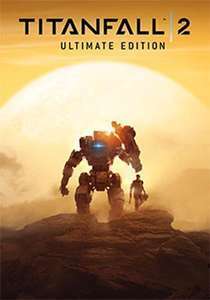 Titanfall 2 – Deluxe Edition: The Deluxe Edition contains the game, along with bonus features to ensure gamers stand out when they are fighting on The Frontier. There are Nose Arts for each titan, along with Warpaints and two types of camouflage for titans, pilots and weapons, plus an exclusive Callsign to customise your in-game identity. Titanfall 2 Marauder Corps – Collector's Edition: If you go for this special edition of Titanfall 2, you’ll get the game in its box as you usually would, but also a range of great collectable items. These include an Illuminated Pilot Bust with game-accurate detailing and hand painting which creates a highly professional effect. The bust is battery operated, so the faceplate lights up blue when switched on, and it comes packaged in a display box if you’d prefer to put it on show. Secondly, you will find a Pilot SRS Field Journal in an aluminium case, this is finished with the traditional Vanguard logo and a pen is included. Thirdly, there are three Exclusive Fine Art Mini-Prints depicting scenes from the game, these are images taken from when Titanfall 2 was still in the development stage. Finally, you also get a Paracord Survival Bracelet in this edition; the heavy-duty cord has a Titanfall 2 logo and a release buckle. This is in fact a functional piece of kit; it provides several feet of cord and will bear a load of up to 300lbs. Titanfall 2 Vanguard Collector's Edition: The most generously presented and the most costly version of Titanfall 2, the Vanguard Collector’s Edition comes with the game and many additional extras. Firstly, there’s a Dog Tag Flash Drive on a metallic chain with 8GB of storage. Secondly, there’s the Pilot SRS Field Journal, and thirdly, the most stunning item is a Titanfall 2 Vanguard Pilot Helmet Replica. It’s a full scale 1:1 replica, produced using a range of materials, with a light-up faceplate, head strap, and display stand. Various accessories also come in the box; these are a tactical spot light with a laser targeting sight to attach to the helmet, a Vanguard Shemagh Scarf in a custom design and Squad Morale Patches which can be sewn on to clothing or backpacks. Which Platforms is Titanfall 2 Available on? Titanfall 2 is part of the first person shooter genre, with single player and multiplayer options. It is available on three platforms; these are the Xbox One and PS4 consoles, and MicrosoftWindows for PC players. Are There any Expansion Packs? The games developers have stated that moving forward, there will be a high level of support for the game. They have started with DLC entitled Angel City’s Most Wanted, this features the Angel City map from Titanfall 1, which proved to be a firm favourite amongst fans. The map has a closely packed urban environment which is formed in the shape of a ring. Players can concentrate on stopping enemies escaping from the city, or look for targets in the centre of the map. The landscape is dotted with open buildings, for people who prefer to play close combat sections, with shotguns or other small arms. The rooftops provide great locations for using long range weapons and you can run between buildings using your wall walking skills. This pack also contains cosmetic enhancements like banners and camo gear which must be paid for. By downloading this content, players will be able to see an improved stats screen, an FAQ menu and the in-game store. What is the Gameplay Like Compared to Similar Titles? Titanfall 2 was created by the same team who brought us the major Call of Duty instalments, including Modern Warfare and Medal of Honour: Allied Assault. 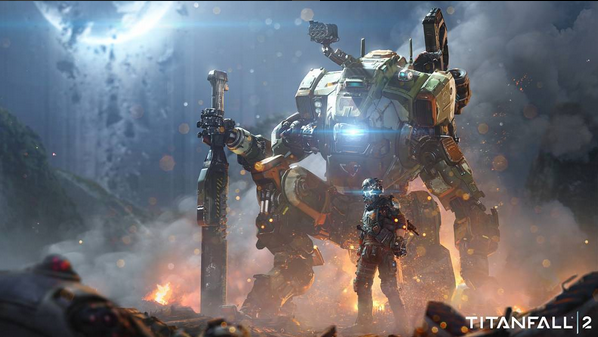 Respawn have not produced a full-blown campaign since finishing Modern Warfare 2, but with Titanfall 2 they have created one that is both diverse and familiar, bringing in aspects of Portal, Half Life 2 and Halo. The central premise of the game focuses on conflict in a planetary system known as The Frontier. The Interstellar Manufacturing Corporation have abused not only the planets dwindling resources, but mistreated its civilian population too. Gamers play as part of a resistance movement called the Frontier Militia, an organisation which wants to drive the powerful IMC away from the system. As the game progresses through a series of chapters, there are richly imagined set pieces on which corporate soldiers battle with the rebels, these are littered with intergalactic dinosaurs, elements of time travel and jungle terrain. How Long Does It Take to Complete Titanfall 2? The games runtime lasts for a relatively brief six to seven hours; within this there will be around two or three big shifts for dedicated gamers, more if you play in shorter bursts. The various sessions blend well into one another, but some are so brilliant that you wish they’d last longer. What Special Features Can Players Expect in the Game? The campaign is rendered spectacularly with fire fights that are staged in huge industrial units, mecha duels with enemy titan pilots and a breathtaking beach landing. The weaponry is another strength of Titanfall 2, with recognisable shotguns and pistols, alongside more innovative tools like remote charges and gravity grenades. To defend yourself there’s a short-acting cloaking device – which gives you just enough time to get out of the way – plus the ability to jump and run, almost horizontally, through the environment. If you prefer to play on a harder setting, you’ll need to master all of these techniques as Pilots can die quickly from minimal hits. Just like the first Titanfall, this version enables you to play the game in two different ways. Firstly, you can play as a Pilot; you have superhuman abilities including advanced parkour, extremely high jumps, fast reflexes and expert marksmanship. You can use numerous types of weapon with great skill and navigate through the most hostile, debris strewn environment, with ease. Playing as a Pilot is fast and energetic, and most the time you’ll be exploring the environment in this way. 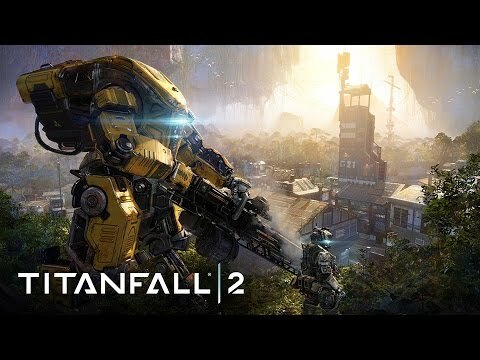 All Pilots in the Titanfall 2 universe are partnered at a symbiotic level with huge military machines, known as titans. These armoured robots have a cockpit for the Pilot to sit inside and can protect him or her from attack in a war-zone situation. They have shields, laser weaponry and teleportation abilities, but for their size they are also very athletic. In Titanfall 2, the personality of these machines is brought to the fore, with lots of witty and revealing banter between them and their human allies. The storyline is boosted enormously by the relationship between Jack Cooper and BT, the Titan who nurtures his talent. When you jump on board the transition is visually seamless, adding to the dynamic feel of the mission. To take part in multiplayer sessions on Titanfall 2, you must play online, there is no offline option. Also, there is no split screen available in multiplayer. This is largely a technical consideration because the game demands a high frame rate and quality of texture. Consoles and PCs would struggle to maintain a consistent frame rate when rendering the action twice, or four times over. However, Titanfall 2 is still impressive in multiplayer, with a whole range of upgrades that are more noticeable than they are offline. The maps are stunning to look at, with many areas to visit and opportunities for combat, spaces are designed for moving around quickly and above you can see the jaw-dropping sight of titans, flying down to help out in times of crisis. There are eight modes to try out in the multiplayer version and a few different maps. In Attrition, two teams battle it out for victory, and Bounty Hunt is a time limited game about fighting for money, in these games and the others on offer, teamwork is the key to a successful session. How was Titanfall 2 Received by Critics and Reviewers? Some campaign boss fights go on longer than necessary and can drag. The script could be tightened up. Incredible moments of play are finished way before they should be. 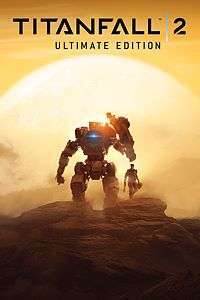 You can buy Titanfall 2 at specialist retailers like Game, from high street outlets like Argos, or supermarkets like Tesco, both in their bricks and mortar shops, or via their digital stores. 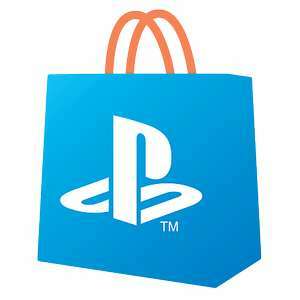 The game is also available from exclusively online vendors, like Zavvi, Amazon and eBay. 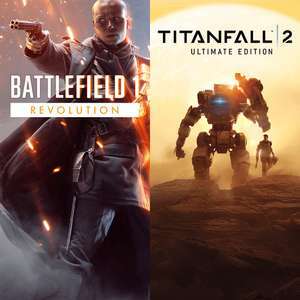 As a relatively new release and one that has proven popular, it will be some time before Titanfall 2 is permanently reduced in price, by shops or online. However, many video game sellers, from physical stores to digital ones, have regular sales in the spring and summer, as well as during the Christmas period. The huge majority of vendors also take part in major events like Black Friday and Cyber Monday, when even brand new games can be heavily discounted. Buying Titanfall 2 as part of a bundle that includes a PS4 or an Xbox One can also reduce costs, but that is only the case if you are looking for a new console. To be in with a chance of bagging the most attractive offers on Titanfall 2, players can check in at the game’s special HotUKDeals page. Here we keep everyone informed of the best prices and bargains from numerous off and online retailers.